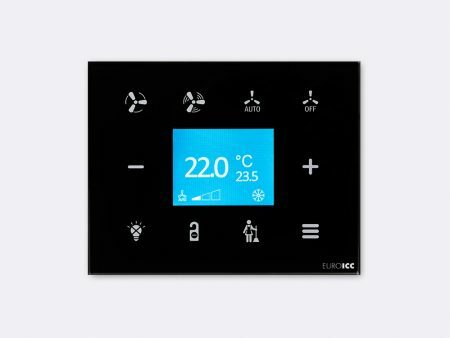 Build with intention to enable interior designers to achieve outstanding design results, this series of PLCs stands out by its unique glass based user interface. The glass colour and patterns are fully customizable allowing for plethora of options for designers to work with. In the same time, the series brings to life a concept of modularity which allows it to achieve easy functional transformations and enable a multitude of IO and communication options. 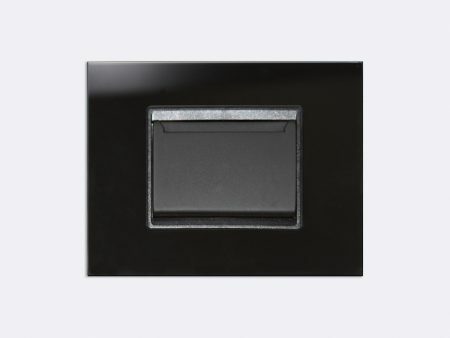 This series of products has been originally intended for applications in hotel systems of different complexities. However, it has been shown that it can be deployed with the same ease within business, office or residential spaces and areas. With numerous options and built in modularity it is a genuine refreshment on the market enabling new possibilities. 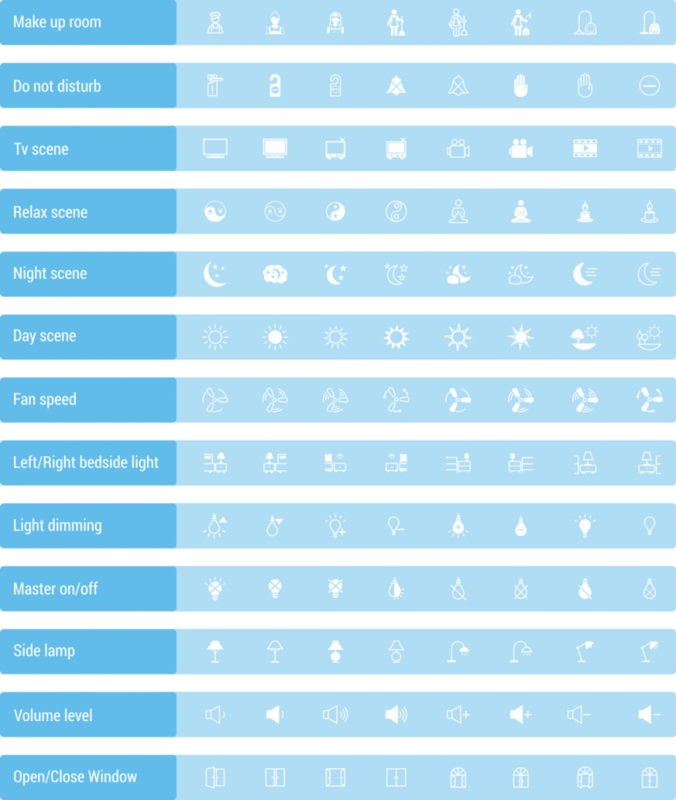 Responsibility for a broad choice of interfaces and types of inputs and outputs lays with these modules. They empower the easy functional transformation of all the units from the series. In the same time they facilitate various types of inputs and outputs to be present while enabling connectivity protocols and interfaces. 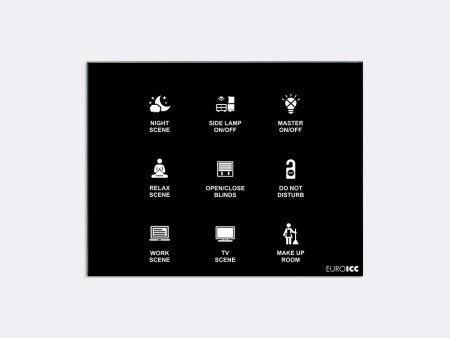 Combining frontal glass panel with variable add-ons, provides the possibility of a great number of different devices. 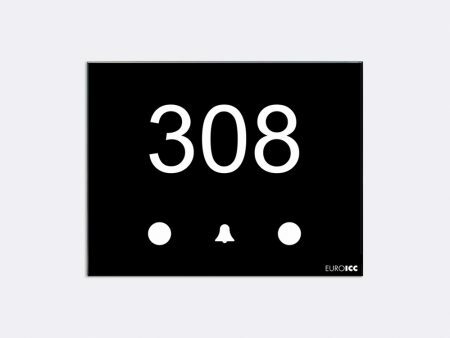 Corridor Status Indication Panel, glass, (130*102 mm) with an integrated Mifare access control card reader, room number with optional backlight display, 3 capacitive keys and 3 bicolor LED indicators. RS485 serial channels. 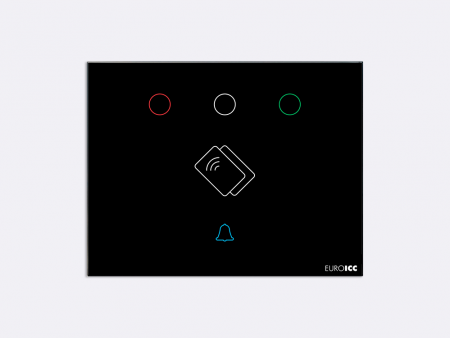 Energy Saving Module, glass, (130*102 mm) consisting of a keycard holder with Mifare reader (Entrance Panel). Customizable Intelligent Room Thermostat (130*102 mm) with advanced energy management and temperature control. 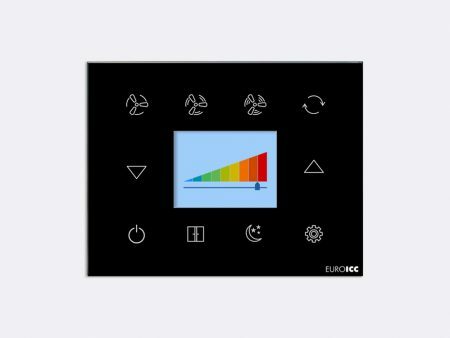 Includes 2.4 TFT colour display with 10 capacitive touch buttons for various control functions selected by the client. 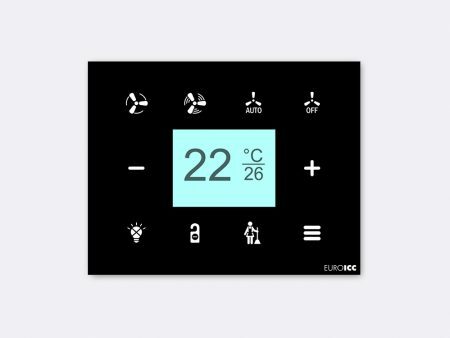 Customizable wall mounted smart glass switch (130*102 mm) with up to 9 capacitive touch buttons for various control functions selected by the client. 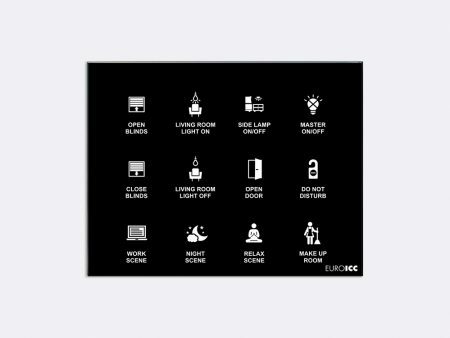 Customizable wall mounted smart glass switch (130*102 mm) with up to 12 capacitive touch buttons for various control functions selected by the client. Focus on User-friendliness. Icons can be created to match actual elements in order to visually help users understand the controls. Panel devices with elegant look and pleasing light. The panel color can be changed and adjusted. Multilingual text labels make sure the system is being understood on international level. Devices can be customized to match the interior design. Ability to incorporate logo or pattern prints. Design for exclusive and distinctive clients.